Will the last person at the USBC please turn off the pinsetters, as well as the lights? And, at the rate this company is going, that should be any day now. We’re gonna strike at some truth-tellin’ here, team. There have been speculations about the United States Bowling Congress’ future for at least nine years, but the recent escalation by hostile parties intent on total takeover have pushed matters beyond tense. It’s now entered the realm of ridiculous for employees trying to hold down a job there, and bodes badly for bowlers. Because there is absolutely no job continuity, there are no long-term goals, bowler security, and there is no reason behind decision after decision at the USBC. It’s take the bowlers’ money and trust, and winnow it down to giving little to nothing back. And, who needs employees when you have big-bucks executives? It started small, perhaps imperceptibly at first — except for the few who were crushed quietly after the 2005 merger of American Bowling Congress (ABC) and Women’s International Bowling Congress (WIBC) and creation of USBC. The security known by some at the company headquarters as full-time employees was “tweaked”. Some were forced out, even replaced by contractors, “travelers” or others. Soon, Human Resources had no voice, then the contracted longtime payroll company was unceremoniously cut, followed by yet another — also gone. What better way to get away with abusing employees than by eliminating any voice they might have, right? The Powers That Be (PTB) hacked away at primarily long-time female employees “with attitude problems” — making it so miserable to continue working that they quit, were forced to retire or were fired. Some male employees were demoted, also forced to quit or retire and whispered about disparagingly in ways to undercut their masculinity or any hope of future advancement. Decisions began to not make sense in most cases; it has been almost unilaterally a matter of penny wise and dollar foolish for years now. The only encouraged growth has been in rampant gossip, backstabbing and tattling on one another, creating a rancid work environment or grounds for firing. Richgels references declining USBC funds and MIA bowlers before mentioning the recent www.bowlersjournal.com interview with shiny-new USBC President Andrew Cain, equating lowered funding with the need for cuts. Cuts? This is bloodletting to the point of Et tu, Brute. There’s also a spanking new executive director in Chad Murphy, and in reviewing the new lineup of USBC “leaders,” one suspects that the sum of all of their ages is well under 65, collectively. There’s security for ya. Former Executive Director Stu Upson departed lurchingly in February, followed by a shocking parade of vice presidents, managers, directors, board members, coordinators and more — people with decades of experience, wisdom and value. People who know bowling from pin-setting on up and can lead if the current connivers with shiny-new titles and promotions would just get out of the way. The recently departed are people who ran a pretty great organization, one that didn’t have to worry about dwindling numbers and mistrust from bowlers or employees. And, in addition to that executive Parade of Tears, it’s been raining on the rank-and-file and lower management, mowing down tournament managers, lane monitors, score-keepers, brackets runners, supervisors, registrants, and many more. At the same time, they have cheapened events and prizes per the bowlers themselves, and most see no point in paying dues and fees that continue to rise, with little in return. Tournaments are repeatedly held in less-than-popular locales (despite promises of holding them elsewhere), greatly impacting attendance and dulling the experience for bowlers, yet employees are repeatedly trained to remain excited about “selling” those locations. Corners are cut without regard for quality, while waste is rampant, such as jetting USBC higher-ups all over the country — and world — often on mysterious missions right in the midst of an event. Meanwhile, multimillion-dollar homages have sprouted up that serve no bowler, such as the questionable relocation of the headquarters from Wisconsin to Texas years back. That decision is still rocking. So, this is nothing less than a hostile takeover poised to ruin an age-old sports organization. And, it’s been happening, right before our very eyes, since at least 2008. And, this is why it ISN’T OK to be casual about it: This behavior is typical of today’s American corporate philosophy, centered on the all-too-frequent mentality that guts companies, ruins industries and leaves people’s shattered lives in the wake. It is NOT all right to excuse that, and it is not all right to treat people this way. And by people, I mean the USBC employees and its “customers,” the bowlers. No, there will probably not be a government bailout for what the USBC is doing to this venerable sport and organization. But, at this rate, the USBC will need one. It has been steadily alienating bowlers, proprietors, employees and the public in droves for years now, and they are mad. Even the much-debated alliance several years ago with proprietors to boost finances has fallen short. That’s why people are staying away from tournaments and boycotting other USBC ideas. Amid the USBC dust, there are those few left standing who will, some day, have their day of reckoning, too. Those are the few now with new promotions, of course, and not an ounce of remorse for the souls they scrambled over while clawing their way to the top of today’s USBC. Technology is being highly touted and incorporated steadily, but the real test, as bowlers go, is where is this sport going? The PTB repeatedly talks about “growing’ the sport, then cuts it down at every chance. None of that is lost on either the bowlers — or the employees. That’s probably why we’re not around anymore. I have worked media and other positions with the USBC in the Detroit area, and traveled with them, along with many others, to live out of state for 4-5 months at a time since 2008. I’ve uprooted my life and family, lived in temporary housing from New York to Nevada, and worked conscientiously each year my services were requested, working 10-hour days and 6-day weeks, and often longer. I’ve provided important input in think-tank meetings, carried out endless errands and fallen into bed exhausted, as have my coworkers. I’ve come to know those coworkers like family, bowlers like warm friends and even (now-terminated) upper management as personable, caring people. 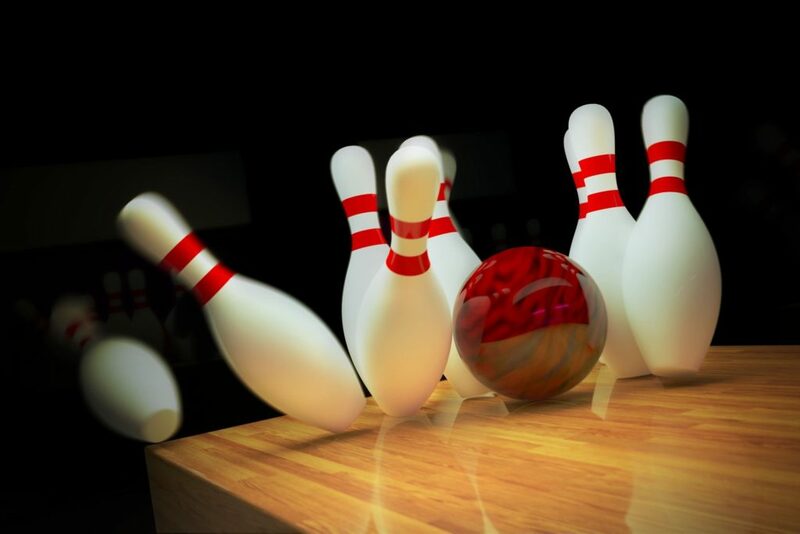 These are people who inspire with their passion, who love the sport, have decades of experience and are fondly respected by our “customers,” the league bowlers. Yes, bowling isn’t what it was in the 1940s and 1950s, when everybody bowled on work leagues, dated in bowling alleys and families centered their activities and social lives in those buildings. Still, bowling is a vital and active sport in many places. It’s a mainstay on military bases. It’s so sought after in many countries that multiple 24-hour centers are busy year-round. It is wildly popular in Malaysia, where they have several prestigious bowling universities and also compete heartily for scholarships. And, on and on. We could learn a lot from that. WHAT’S wrong HERE? What’s wrong is that American bowling leadership is too busy with their technology — tweeting, live-streaming, blogging, boring themselves and us to death — to actually come up with answers. That’s because they lack the leadership with in-depth knowledge, experience and wisdom about their “own” sport. There is room to think outside the box and reinvent this sport in America, but there isn’t much time. Just ask the bowlers. I cry foul — and there are many lined up behind me. It’s time for a new national bowling organization; in fact, it’s PAST time. Practice is over; let’s play for score! Wendy began work in 2008 for the United States Bowling Congress (USBC), both as a Media Specialist for the annual Women’s International Bowling Tournaments, then as the VIP Program Coordinator for the USBC’s Men’s Open annual tournament. Her public accessibility and openness at discussing issues with assorted bowlers, owners and leaders within the organizational structure resulted in multiple whistle-blowers coming forward to provide much damning information as to what was going on behind the scenes. This 2014 Examiner article earned more than 2,000 “likes” within hours of its original posting. In the ensuing few years, almost all of her coworkers, management and even many top-level USBC leaders were let go, as was she. Today, those positions are held by members of the BPAA and their families and friends or those strictly loyal to the still-murky tenets of the BPAA. 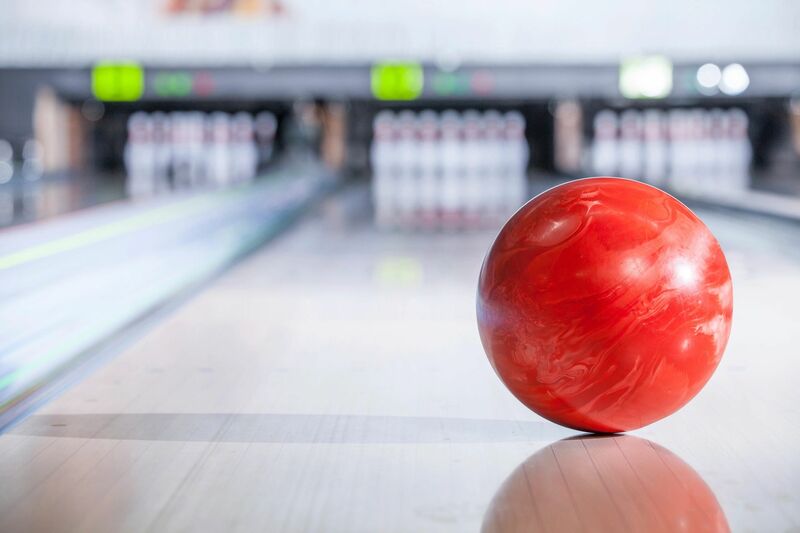 To date, there has been no investigation into the continuing financial failures of privately-owned bowling centers nationwide, resulting in those properties being scooped up on the cheap by organizations with ties to the BPAA. There has also been no interest by authorities in monies being laundered through the USBC by an internationally-based, longtime crime organization, per knowledgeable sources. This first was published in September, 2014 at Examiner.com, and appears now at Linkedin. Tips of questionable practices and alleged illegal actions continue to pour in. © 2019, Wendy Clem / Write For You. All Rights Reserved.